Since the beginning of summer I’ve been experimenting with juicing. I’ll start off the day with a fruit and soy milk smoothie for breakfast. Then for lunch I’ll usually blend up spinach and pear with a pinch of nuts or seeds. Maybe it sounds unappetizing but it makes me feel more energetic and healthy! 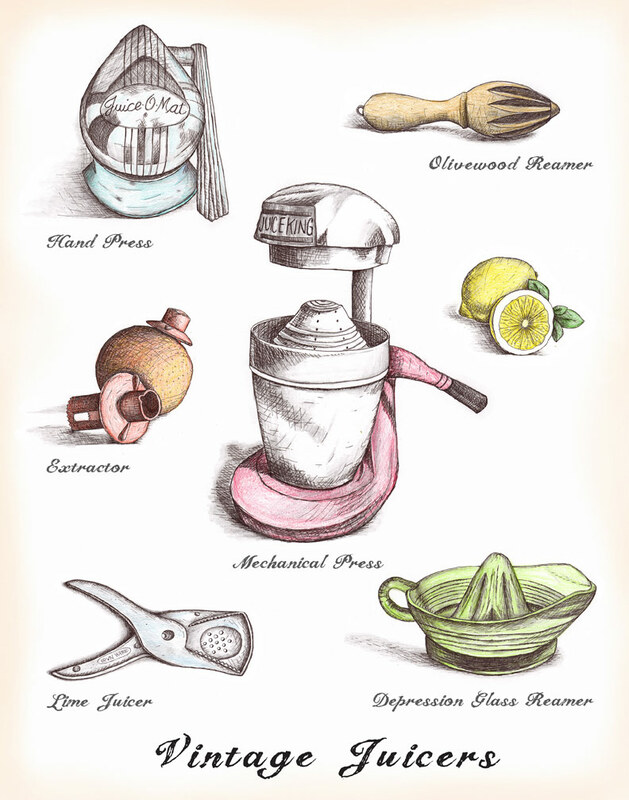 Lately I’ve been coming across vintage juicers at thrift stores and garage sales, so I now have a small collection. Here are a few classics in pen, ink and colored pencil.